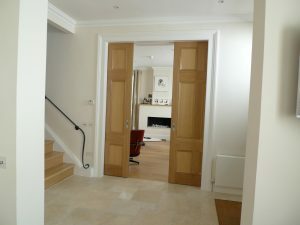 Painting & decorating is part of what we do in David Love Property, servicing Edinburgh, Dalkeith & all of Midlothian. Our painters and decorators work in the commercial and public sectors and are responsible for the external and internal appearance of a building and its protection from water, rust, mould and insects. Our experienced skilled painters / decorators have a responsibility to work professionally and interactively with you as a client in order to give 100% customer satisfaction. They will take on board your vision and ideas and create a smart look for your property whilst maintaining very high standards of workmanship. 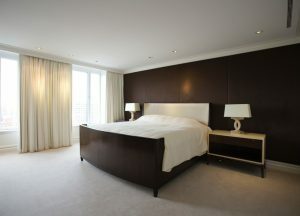 Our painters and decorators work internally and externally in very diverse environments. We are happy to take on jobs for companies, factories, schools, hotels, residential homes and on building sites in all weather conditions. 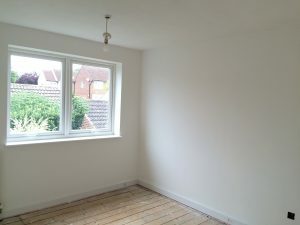 Our skilled painters and decorators offer a vast range of services, such as interpreting client requirements/drawings, advising on designs/colours, painting and types of paint, spraying, decorative coatings, wallpapering, etc. Whatever the job, our trained and experienced painters and decorators will take on a high level of personal responsibility and work to a highest standard to make sure your vision is brought to reality. After a consultation with the client and advising / agreeing on the best way to achieve the desired result our painter and decorator will work safely and tidily. We pride ourselves on precision and attention to detail, our painters will take great care making sure that none of your furnishings and surrounding areas get stained / damaged. 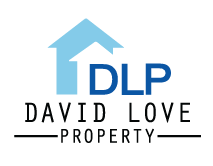 If you are based in Edinburgh, Dalkeith or Midlothian and want to update the look of your property – domestic or commercial – why not give David Love Property a call to see how our meticulous and creative painters and decorators can help you.